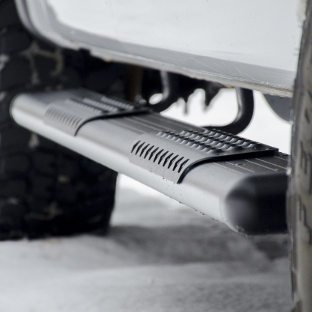 As offroad running boards, nothing can match O-Mega II™ side steps. 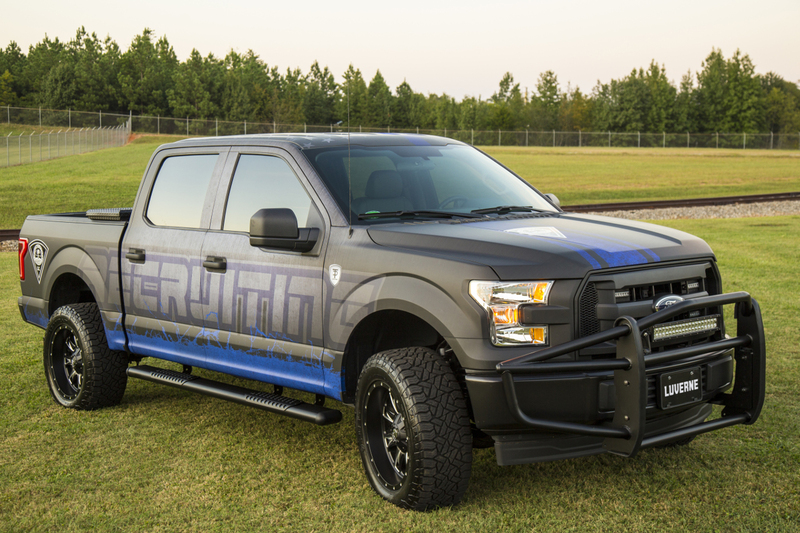 Their highly aggressive style and non-corrosive build makes them ideal for any custom offroad build. 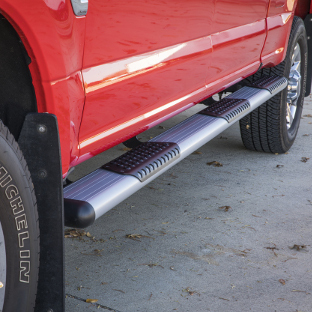 O-Mega II™ side steps are built for hard work, featuring aluminum step pads with raised treads. They offer fleet-level traction in any conditions and long-lasting wear resistance. 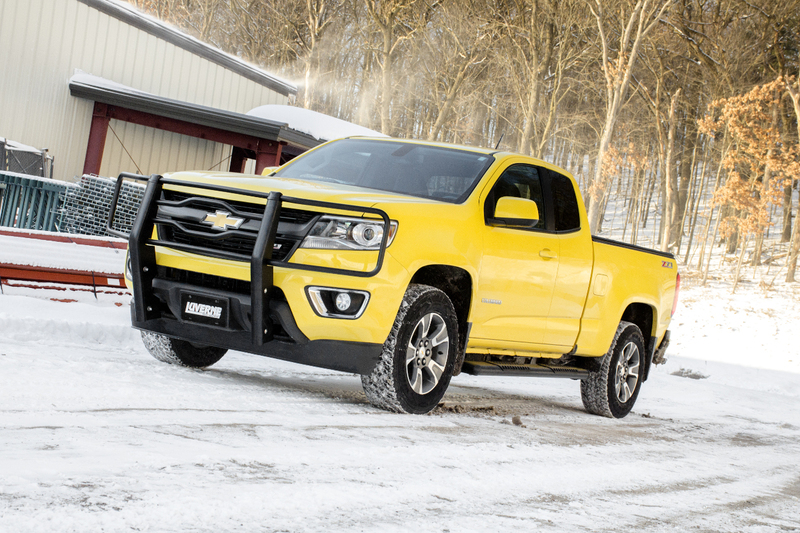 Like many LUVERNE side steps and running boards, O-Mega II™ 6" oval side steps are made to work hard and do it with style. They are constructed from 6" x 2-3/4" extruded T6 aluminum alloy. 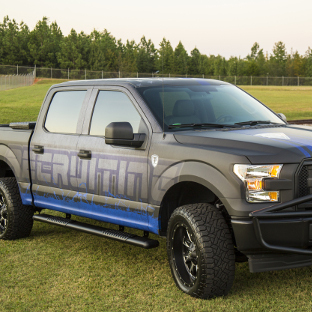 Aluminum is an ideal material for work van and truck running boards, and this particular alloy is extra-strong to ensure a rigid step, while maintaining a lightweight, fuel-efficient design. 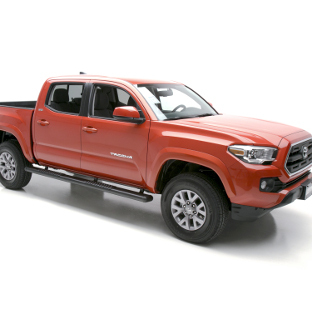 Aluminum is also rust-free, making these side steps impervious to the elements whether they're exposed to harsh UV rays, driving rain, heavy snow, sloppy mud or excessive road salt. 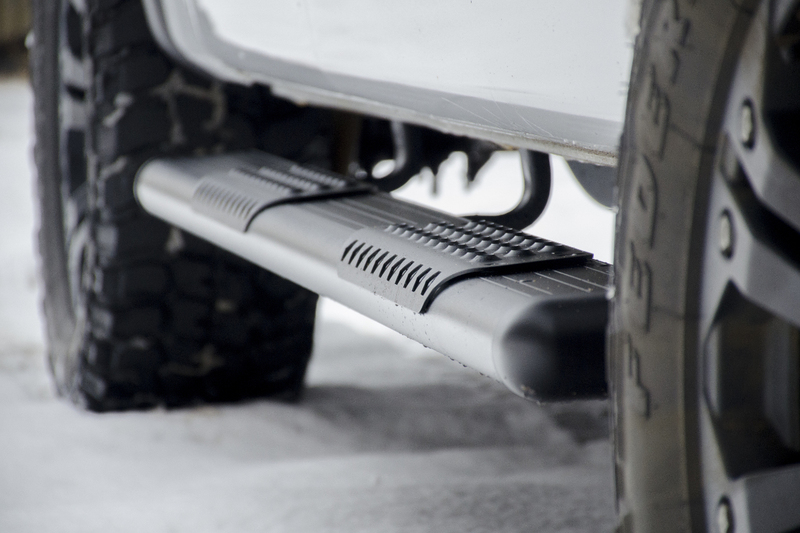 O-Mega II™ side steps are made to provide safe, comfortable entry and exit from your vehicle. They feature tough aluminum step pads with protruded circular treads for fleet-grade, non-skid traction. The aluminum construction ensures long-lasting wear and crack resistance, unlike cheap plastic alternatives. The step pads are also finished with a textured black powder coat for durable corrosion resistance. 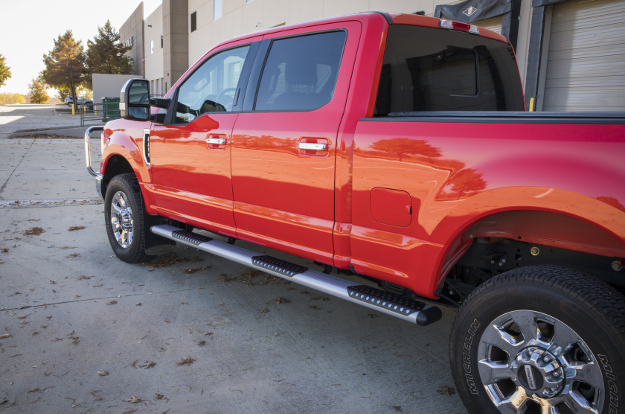 O-Mega II™ side steps are uniquely customizable. 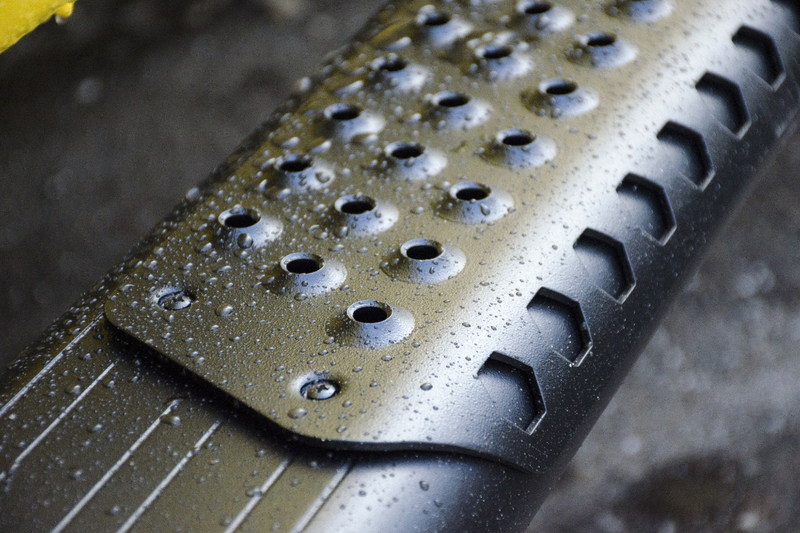 The step pads ship unattached from the tubes and mount with self-tapping screws. This allows you to precisely match the door layout of your vehicle. You can mount them to the provided factory specifications or adjust them to a custom placement. Each side step also comes with black TPO plastic end caps, adding a modern, professional look. The end caps are paintable to allow for additional customization. 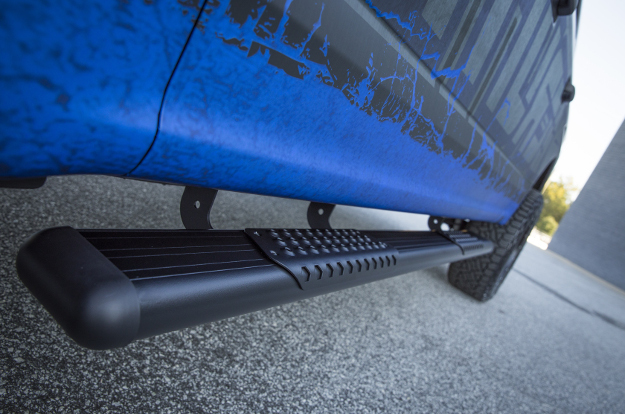 To provide you with whatever look best fits your work truck, cargo van or custom offroad build, O-Mega II™ side steps are available in two powder coat finish options: textured black and silver. A powder coat finish gives them a highly impervious defense against corrosion, and easily resists scratches, chipping and UV damage. 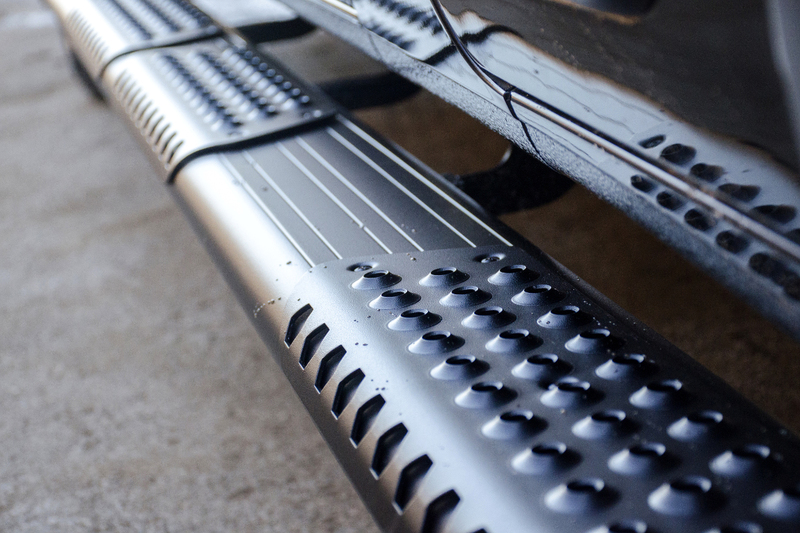 Textured black running boards are ideal for work trucks and commercial vans, adding a sleek, professional look to the vehicle and your business. 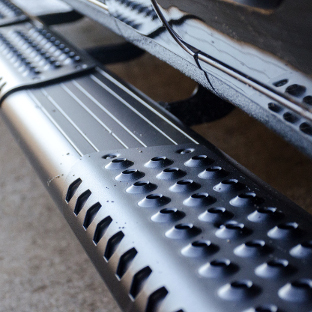 For the custom build or offroad ride, we recommend the silver running boards. Contrasting with the black step pads and end caps, the silver running boards add an aggressive touch. 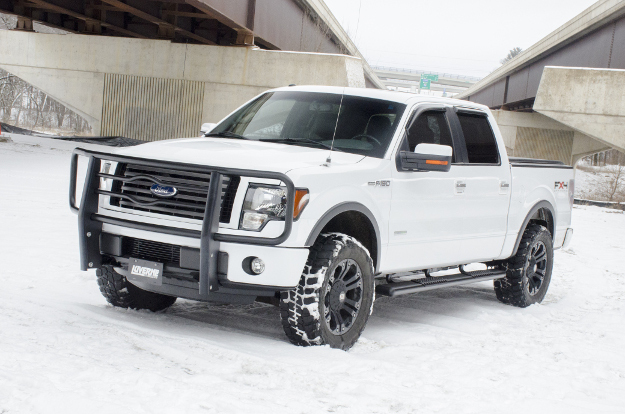 Each set of O-Mega II™ side steps is designed for vehicle-specific application and fitment. This ensures a strong stepping surface, an integrated look and the easiest possible installation. 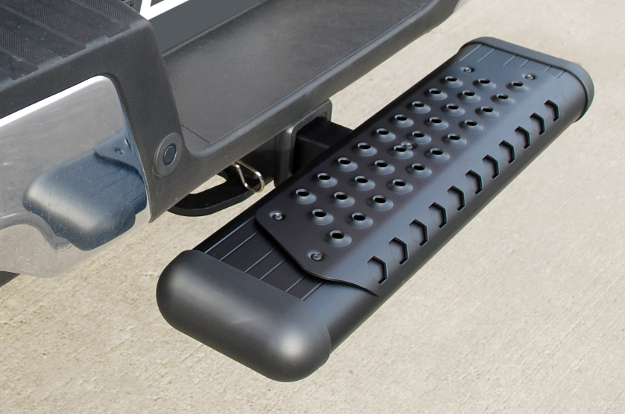 The running boards mount with a specific set of brackets and hardware. The brackets offer a custom fit and are finished with a highly durable black powder coat finish for long-lasting corrosion resistance. 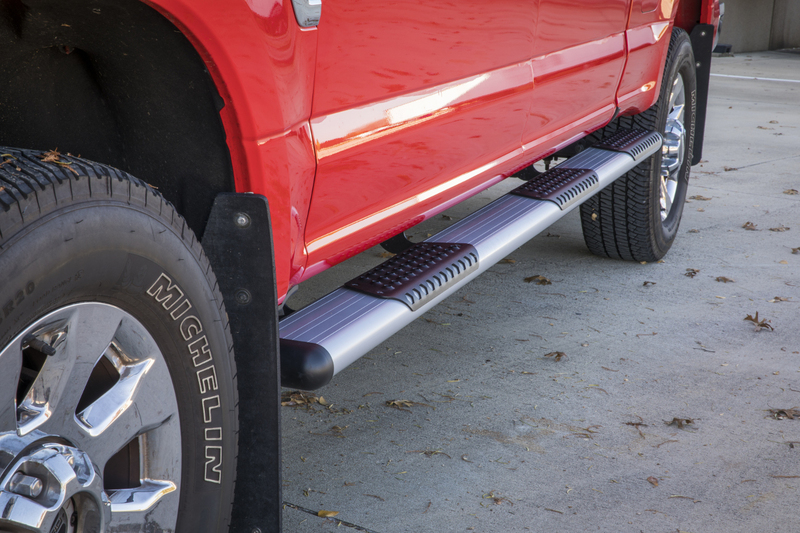 For added functionality on your pickup truck, O-Mega II™ truck side steps are available in a wheel-to-wheel option for select models. 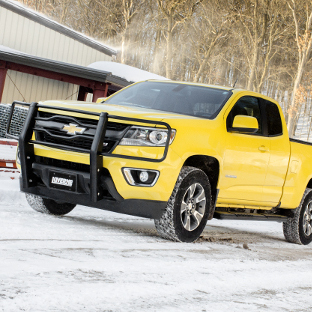 These running boards are extra-long, extending past the truck cab and featuring an additional step pad at the rear. 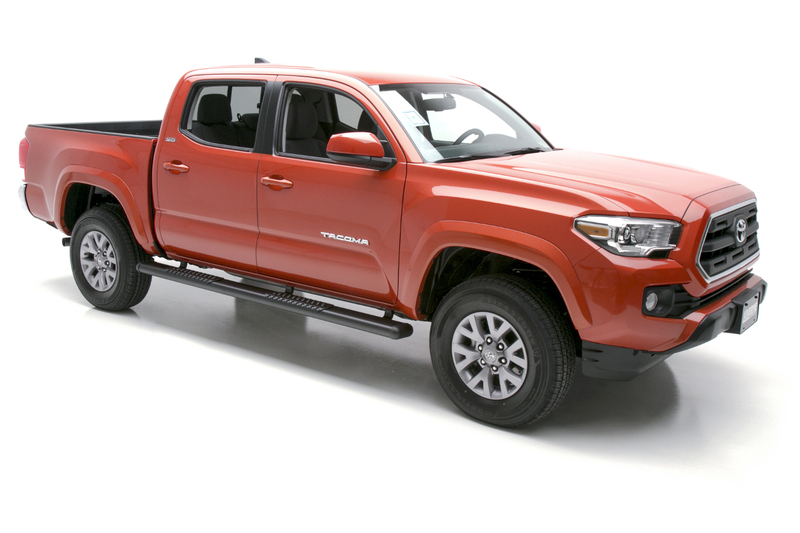 Wheel-to-wheel steps provide safe, comfortable footing when accessing the truck bed. They are perfect for stepping up to reach a truck tool box, 5th wheel hitch, ladder rack or cargo. 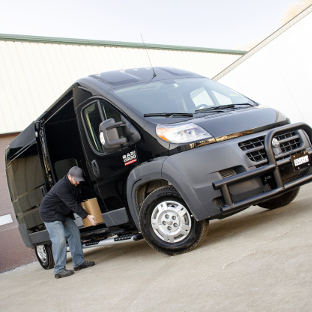 To enhance the functionality and ergonomics of your cargo van, O-Mega II™ 6" side steps are available in a rear step configuration. 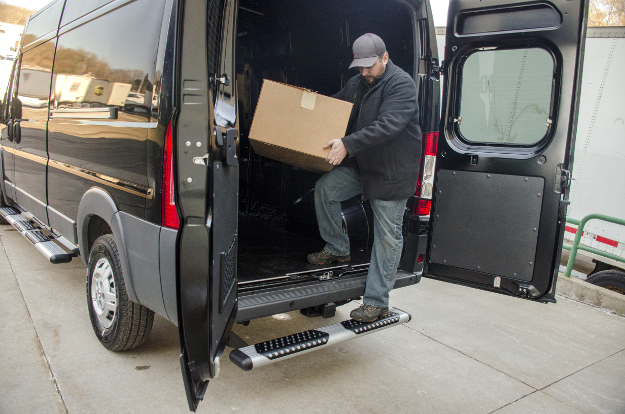 A rear step is a running board that mounts on the back of the van and provides easier access to the cargo area. 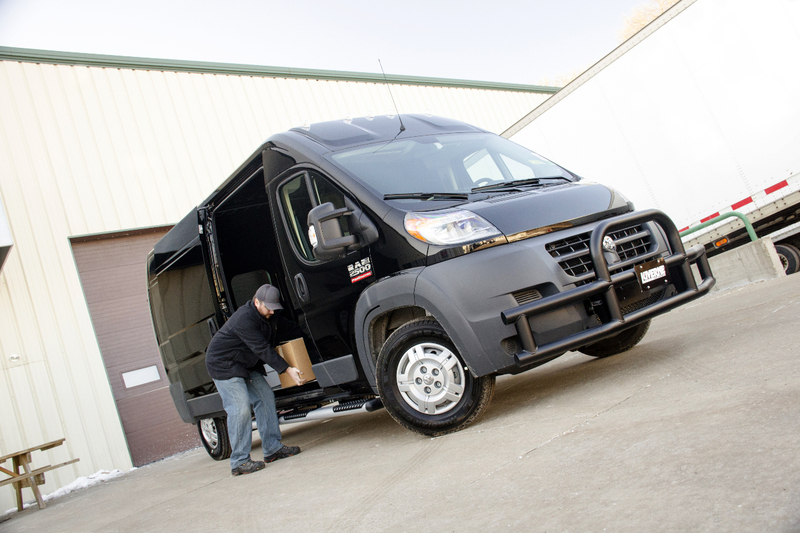 Rear steps are particularly useful for commercial vans, delivery vans and fleet vans that require constant entry and exit from the back of the vehicle. 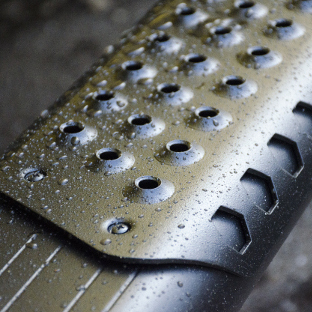 To keep your O-Mega II™ side steps better protected and free of grime and road debris, they are compatible with an optional backsplash. Backsplashes mount along the inside edge of the boards and help keep water, mud and debris off the steps. Side step backsplash kits are available in 88" (#570090) and 98" (#570098) lengths and can be trimmed to virtually any length necessary. 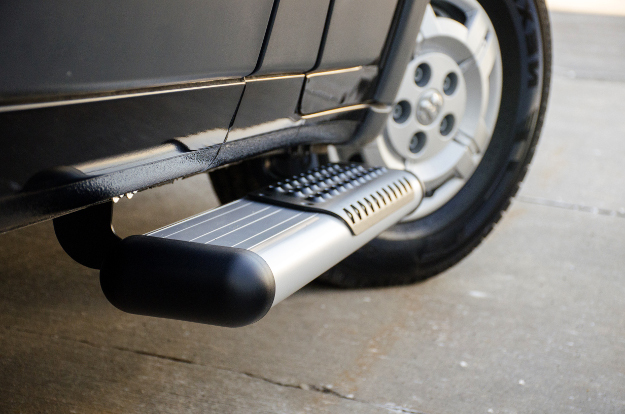 For accessing the rear of the vehicle, we also offer O-Mega II™ hitch steps. These convenient hitch-mounted truck or van accessories are use-as-needed and are available in both the black and silver finish options. To find a trailer hitch for your truck or cargo van, visit our fellow brand CURT.